Do the customers who patronize your retail store or website depend on you to provide them with swords and replicas? If so, you need to work closely with a trusted distributor like Blue Ridge Knives to find wholesale rapier swords at great dealer prices. In addition, we have longsword and broadsword replicas for sale, among other options. We’ve been supplying companies who sell swords with a vast selection of them for more than 40 years, and we can help you find exactly what your customers want. When you apply to become a dealer through Blue Ridge Knives, we can offer you wholesale rapier swords to sell in your shop or on your website. We can also send you a catalog that includes the longsword and broadsword replicas for sale through us. We carry products from Paul Chen (Hanwei), Denix, CAS Iberia, and Kit Rae and also have movie-related sword items that you and your customers will recognize from The Hobbit, Lord of the Rings, Gladiator, Rambo, Blade, and more. In addition, we can provide your store up with floor, tabletop, and wall displays that can be used to show off your customers’ Viking swords and Japanese Katanas. Just send us a copy of your state-issued resale license, and we’ll send you our monthly sales catalogs jam-packed with swords and sword displays. Reach out to us at 276-783-6143 today to find out more about becoming a Blue Ridge Knives dealer. 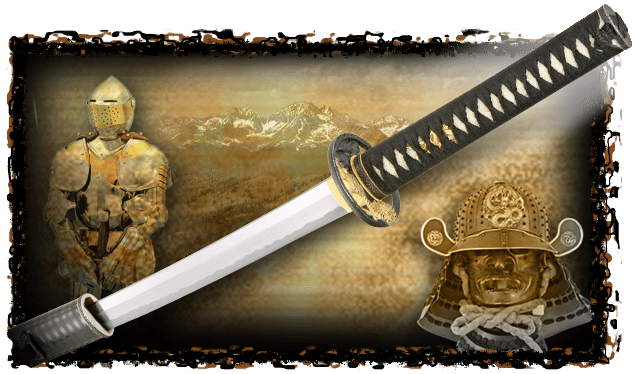 Are your customers asking for a display for their Viking sword or Japanese Katana? Blue Ridge Knives, Inc. offers a selection of floor, tabletop and wall displays.